The Genealogical Society will be heading North in January. 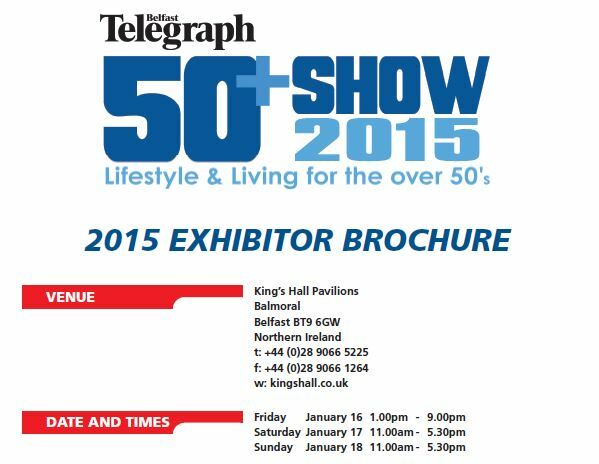 Business Exhibitions Ltd. has very kindly invited the Society to exhibit at the Belfast Telegraph’s 50+ Show on January 16-18. The event will take place in the King’s Hall Pavilions, Balmoral, on Friday, Saturday and Sunday, 16th – 18th January 2015. The opening hours will be 13:00 – 21:00 (Friday), and 11:00 – 17:30 (Saturday and Sunday). Don’t forget that you can use the DSP’s Free Travel Pass, in combination with its Northern Ireland equivalent (the ROI Senior Smartpass), to travel to, and around, Belfast.